While science is the backbone of medicine, communication is vital to ensuring quality care in any medical office or practice. Every part of a physician’s practice relies heavily on effective communication. Patients and doctors must be able to discuss symptoms, diagnoses and expectations clearly. Nurses and support staff must be able to use medical terminology and address patient-focused concerns correctly, and clerical and administrative staff need to communicate with healthcare providers, patients and even government agencies. There are a few barriers to adequate medical office communication. Medicine is a field with highly specialized language, and both patients and staff may not be familiar with the same terms as doctors. Medical settings also can be high-paced and may require a great deal of complex information to be communicated across multiple channels in a limited amount of time. Encourage Feedback: Doctors, nurses and administrators can improve communication by asking “do you have any questions?” — especially when speaking with patients and their families. This technique allows space for any needed clarification. Practice the Art of Repetition: Asking patients to repeat back what they understand or asking nurses to repeat back instructions helps ensure everyone is on the same page and allows doctors to identify and correct any misunderstandings. Keep Language in Mind: In cases where staff, doctors or patients are more fluent in another language, extra care may need to be taken to ensure everyone understands what is being said. Hiring staff who can speak multiple languages can help overcome language barriers to understanding. If this is not an option, translation agencies are an effective solution, too. Write It Down: Writing down instructions, prescriptions, directions and details can be useful. For patients, having written information gives them something they can refer to if they forget what they discussed with a medical professional. 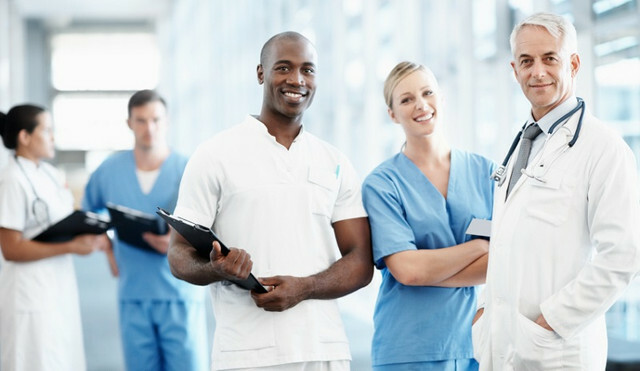 For physicians, following up with emails or written records ensures proper communications with nurses, staff and others to prevent any test results or next steps from falling through the cracks. Keep an Eye on Body Language: Not all communication in healthcare settings is written or verbal. Proper communication also stems from correct body language, which is highly tied to individual personalities and specific cultures. A patient who does not look a doctor in the eye may be introverted — or they may not be listening. Meanwhile, a physician standing with their arms crossed when listening to patients may give the impression of impatience. When speaking to others in your organization or practice, keep an eye on their body language and be aware of your own. The stakes are high. Effective communication in a healthcare setting can help ensure patients get quality care, while ineffective communication can mean a risk of legal action. When miscommunication leads to legal claims, comprehensive medical malpractice insurance gives you peace of mind and lets you focus on what matters to you: providing quality care for patients. Gallagher Healthcare makes it easy to find the right medical malpractice insurance for you, no matter your area of specialty or the organization you work for. We have resources to help you learn more about medical malpractice coverage, or you can contact us today to request a quote. Gallagher Healthcare is a specialty niche of Arthur J. Gallagher & Co., one of the largest insurance brokerages in the world. We understand the importance of crafting tailored solutions to address your unique needs. Our expert agents negotiate pricing and compare medical malpractice insurance solutions with all major A-rated carriers and alternative markets on your behalf, providing you with the best possible option available in the insurance marketplace.